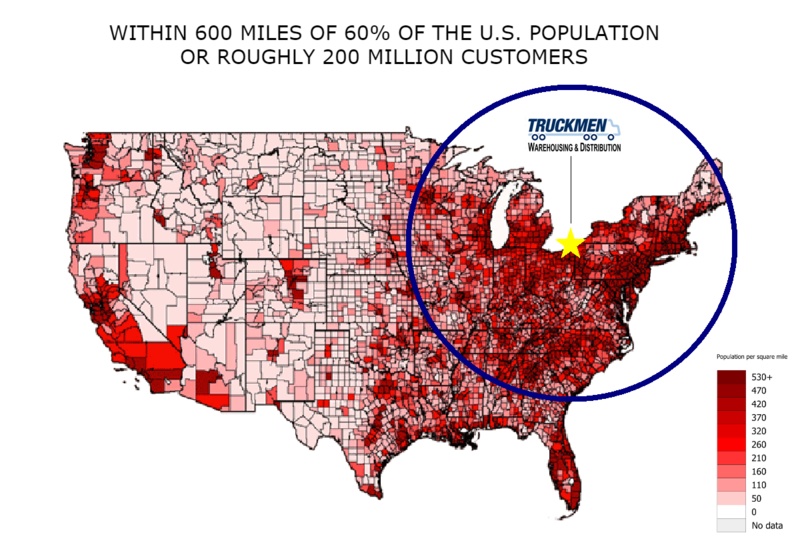 Truckmen is Ohio’s top prep and ship provider. We empower sellers to focus on growing their business while we take care of the pack and ship logistics. Simple Prep & Ship pricing. Shop, compare then SAVE! Fulltime staff of 45 stand ready to support you. Count on us! Our prime location is strategically located within 600 miles of 60% of the US population or roughly 200,000,000 consumers within 2 transit days max! Priced right, strategic location plus our experienced staff of 45 employees! TRUCKMEN Warehousing & Distribution is proudly celebrating our 27th year in 2018! We opened for business in 1991 with a couple of trucks and have since grown into a full-service Warehousing & Distribution operation that now includes 45 full-time employees, 25 semi tractors, 75 trailers and 3 – 26 ft. straight trucks with lift gates. We have over 150,000 sf of warehousing on our 38-acre campus in Geneva, OH. Our facility offers much flexibility including 18 standard truck docks, 4 double wide protected interior drive-in bays, 4 double wide drive-in doors and enough floor and racked space to hold over 8,000 pallets! Our 2017 monthly stored average was over 7,000 pallets at any one time. Our prime location will strategically place your products within 600 miles of 60% of the U.S. or roughly 200,000,000 consumers as well as Toronto, Canada. All within 2 days or less!